Background and research interests: Marian Weevers examines the incarceration of female beggars and vagrants in the State Labor Institution (Rijkswerkinrichting) in the Netherlands between 1886 and 1920. She is interested in the factors that played a role in the journeys of these women to the Rijkswerkinrichting and in the impact of their incarceration on their further life course and that of their offspring. 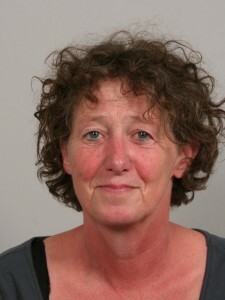 In 2013 she has carried out research on the activities and achievements of the Leiden Ladies Comity for the Moral Improvement of female prisoners who tried to improve the future of some 250 women and their offspring on release from the Rijkswerkinrichting. Recently she has studied the files of the women that were sent from the Rijkswerkinrichting to the State Mental Asylum together with Catrien Bijleveld with whom she works closely together.